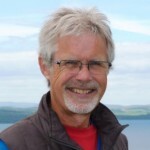 Don MacGregor is the author of ‘Blue Sky God: the Evolution of Science and Spirituality.’ He has now retired as a vicar in North Pembrokeshire, West Wales, and has had a career with a number of twists and turns. After gaining his BSc in Ergonomics at Loughborough University, he taught Science in a secondary school in Leicester for 13 years. During that time he was involved politically in the Green movement, and studied theosophy and other esoteric subjects. He then became involved with Christianity and went into the ordained ministry in the Church of England, gaining an MA in Theology. He worked in churches in Birmingham and Leicester, then returned to Loughborough University as chaplain for 6 years, before moving to West Wales in 2004. His Christian journey has moved from evangelical and charismatic to mystical and esoteric with aspects of contemporary holistic spirituality, and an emphasis on meditation and contemplative prayer. His other roles have included spiritual director, new religious movements officer, and interfaith officer. He is an active member of CANA (Christians Awakening to a New Awareness) and PCN (Progressive Christian Network). “Blue Sky God” was his first book, so named because it contains some ‘blue sky thinking’ about the relationship between Science and Christianity – and it was written on the coast of Pembrokeshire with its expansive blue skies. He is currently in the throes of more writing.